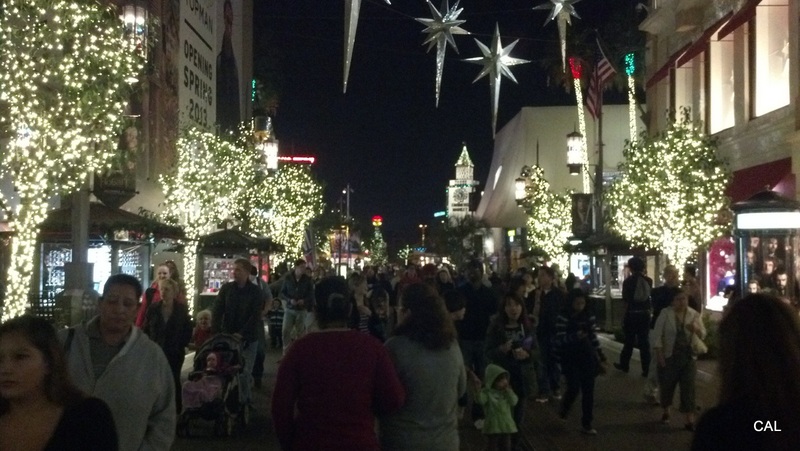 Without question, my favorite place to be in Los Angeles after Thanksgiving leading up to Christmas is a shopping center of all places. You read that correctly, a shopping center. And not for the obvious “you live in L.A. so you must be the poster child for consumerism while sipping your soy latte” reason you’re thinking (okay, there would most likely be a latte involved – minus that other stuff). 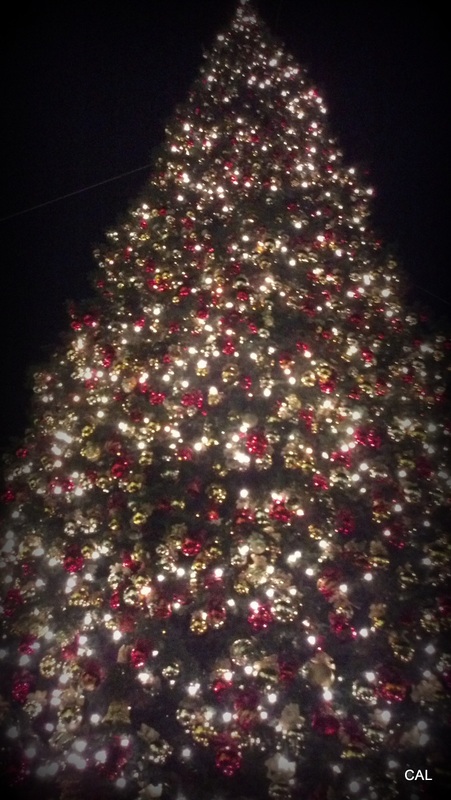 When L.A. needs some Christmas cheer, we get in our cars, sit in traffic, update our Facebook status frustrated about sitting in said traffic, and head to The Grove! The Grove is the ultimate one stop shopping destination (though they seriously need to get on adding an H&M to the block, like. now. 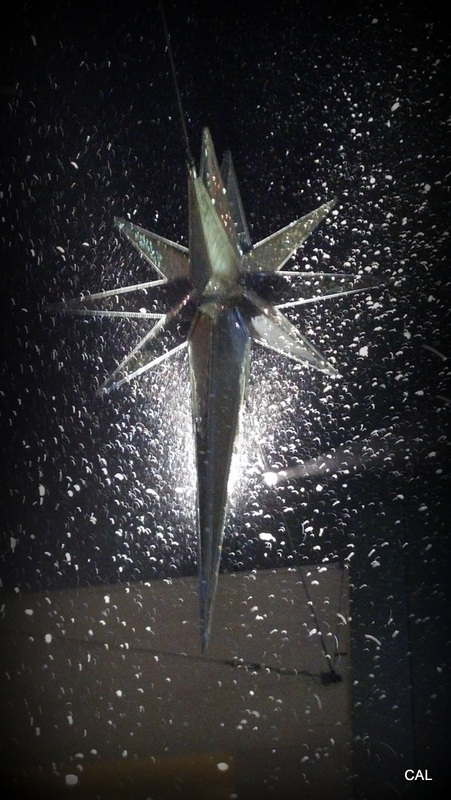 ), but this isn’t why I’m in love with spending time here as we embark on the journey of the Holiday season. 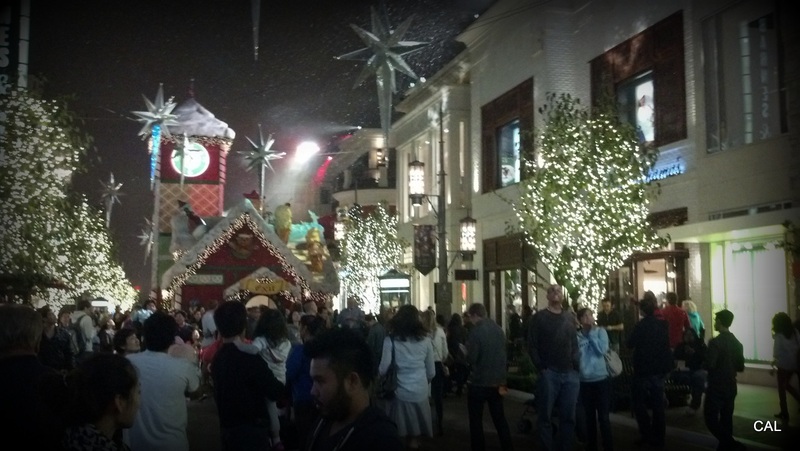 It’s because it’s the Mecca for getting my Holiday festivity fix…well, as much as a gal can get in L.A. 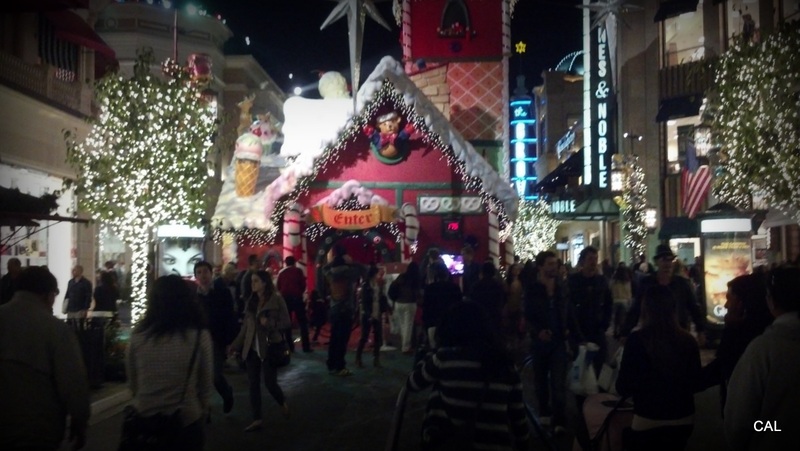 The day after Thanksgiving, we headed over to The Grove to enjoy how an outdoor mall transforms into a fantastical celebration of Christmas. Lights everywhere, wreaths hang from lamp posts, and large ornaments suspend from rooftops right above you. Santa’s huge Mansion Cottage, complete with a digital “now serving” ticket numbering system (not kidding!) as you head inside the doors to give Santa your list of demands, sits at the center of it all. (Oh, what I would ask Old Saint Nick for now as an adult!) Music fills the air; and on that particular Black Friday night, fog was appropriately present enhancing the festive vibe. All this leads you toward the grand finale: a 100 foot tall white fir Christmas tree beaming with more than 15,000 lights and 10,000 ornaments. And it’s real, I’ve checked. 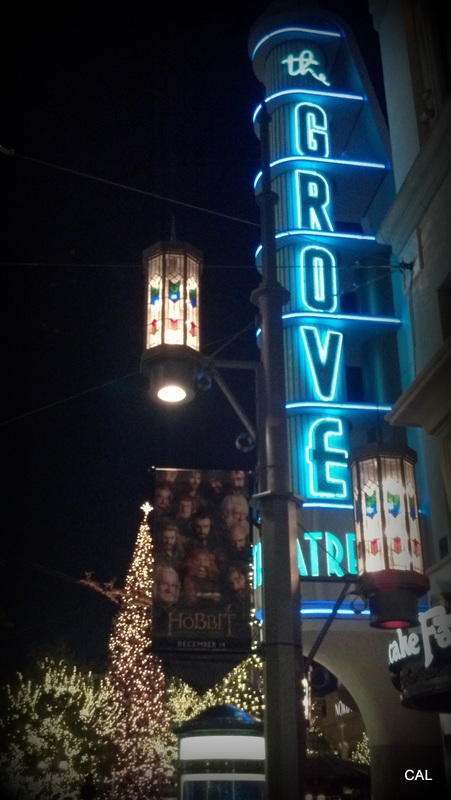 I urge you to make at least one trip to The Grove this Holiday season (if you’re in town) to experience the magic for yourself and hey, pick up a few gifts, or better yet – make it a dinner and a movie date night with someone special. There’s something in the air that a blog post nor pictures can accurately capture. Just be sure to be outside The Pacific Theaters at 7:00pm to get the only glimpse of snow in L.A. you’ll likely ever see. « Georgetown Cupcake Comes To L.A.
I’ve been wanting to go to the Grove for a long time now 😉 It looks so nicely decorated for Christmas!!! THanks for sharing.